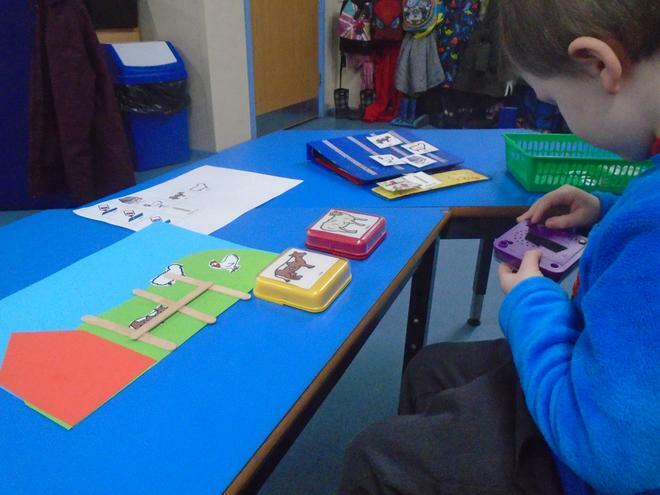 This half of the term the theme has been Old McDonald. 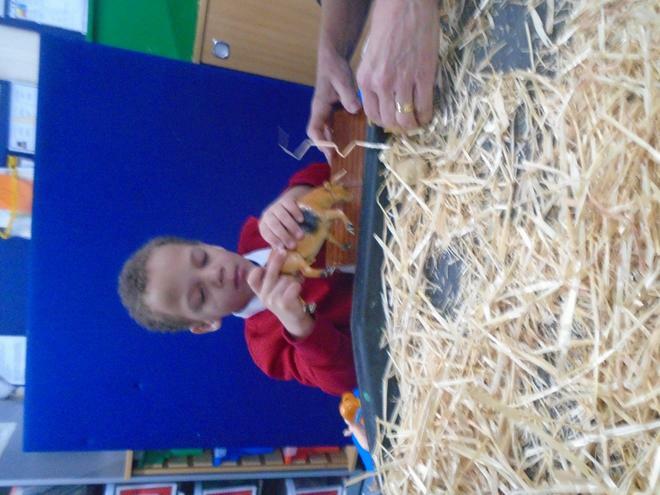 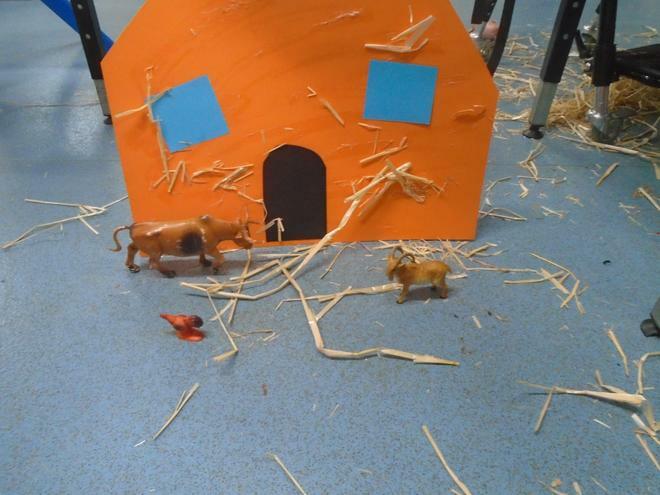 The children have been exploring the many animals that live on a farm. 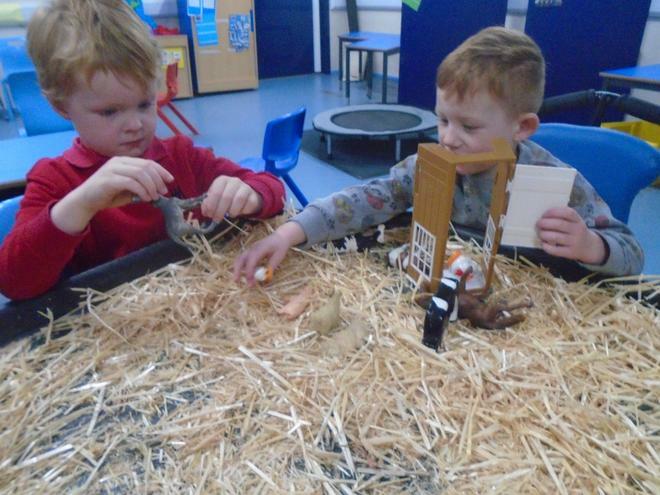 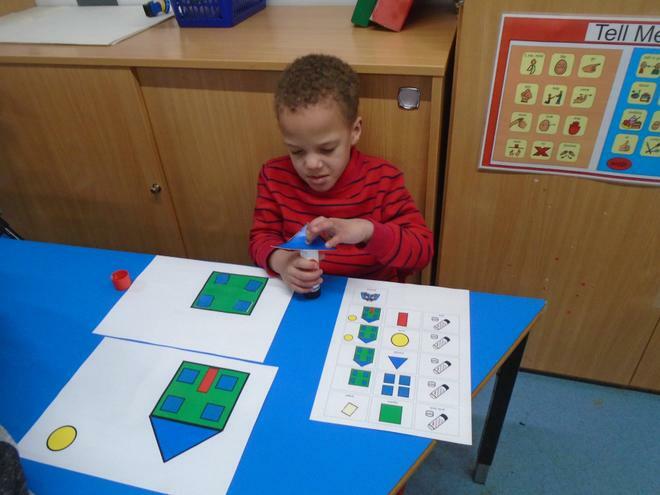 They have been creating their own farm house and painting and printing with the animals. 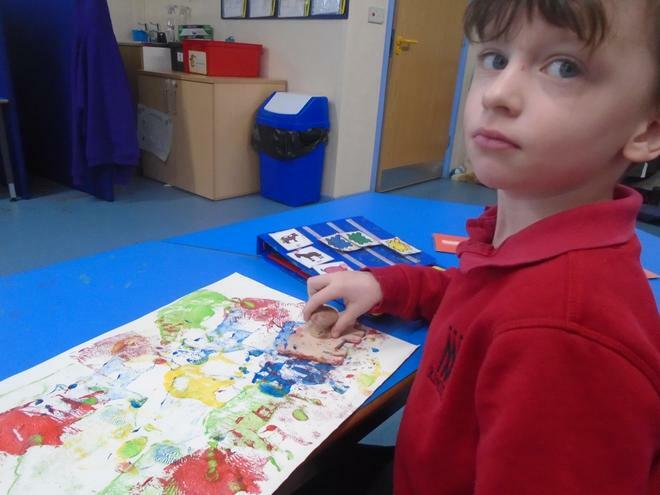 The topic the second half of this term has been Art Attack. 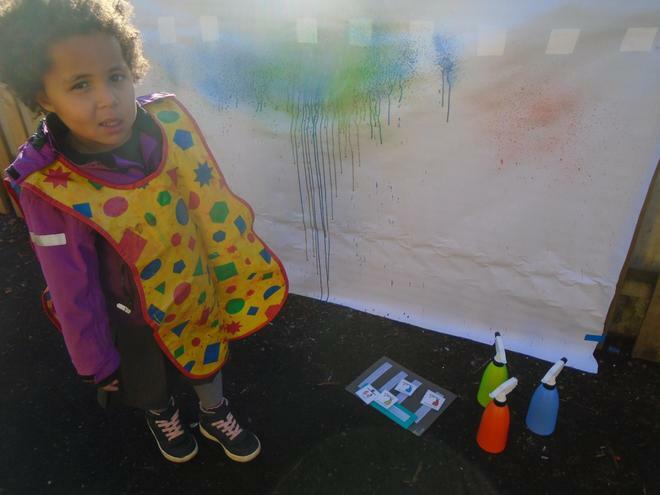 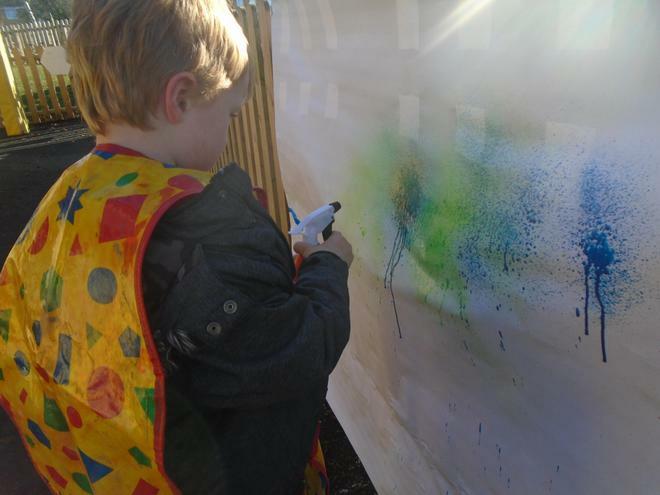 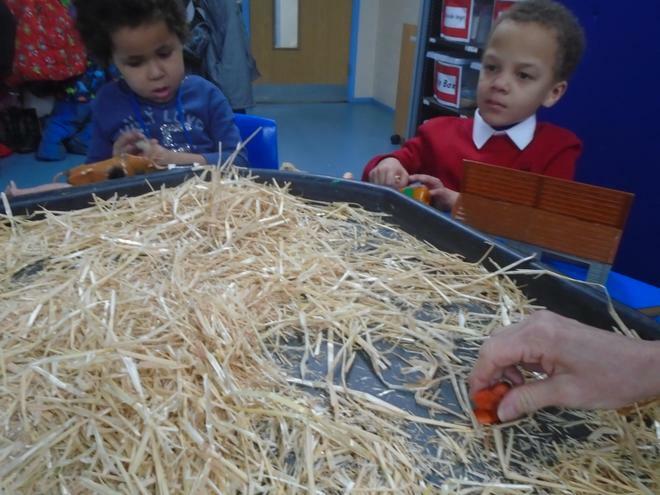 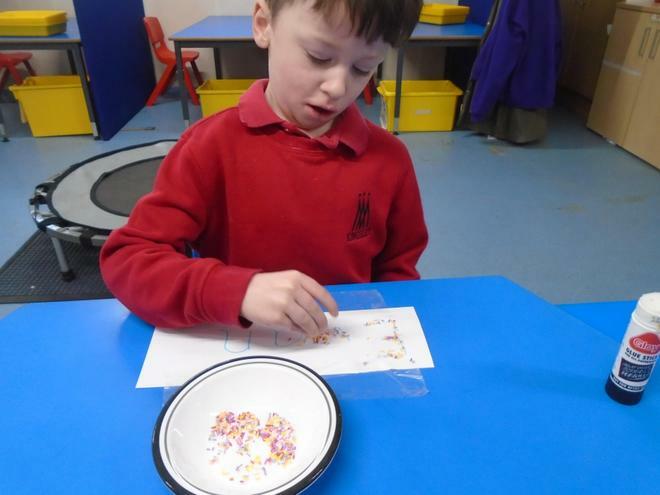 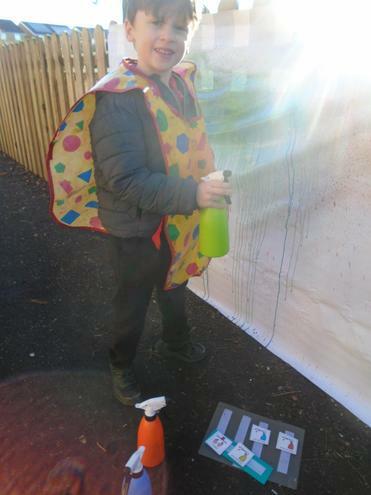 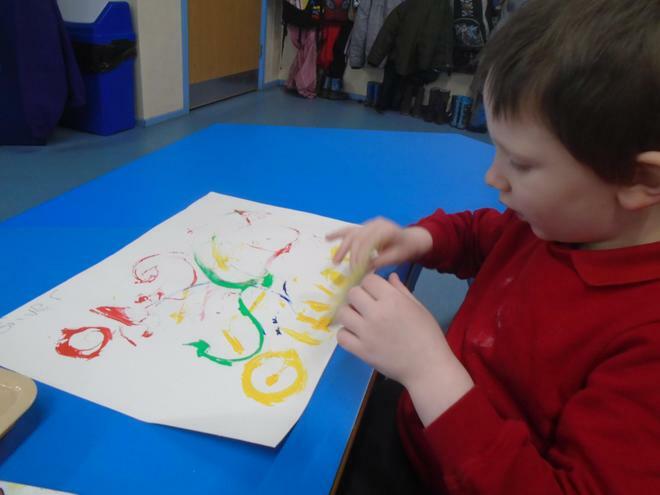 The children have been having lots of fun creating art in different forms.